web developers wanting to add database interaction to their web sites. the programmer who quickly wants to add PHP and MySQL to their skills set. the student, and to those seeking a career in computing, who need a fundamental understanding of server-side programming with PHP and MySQL. 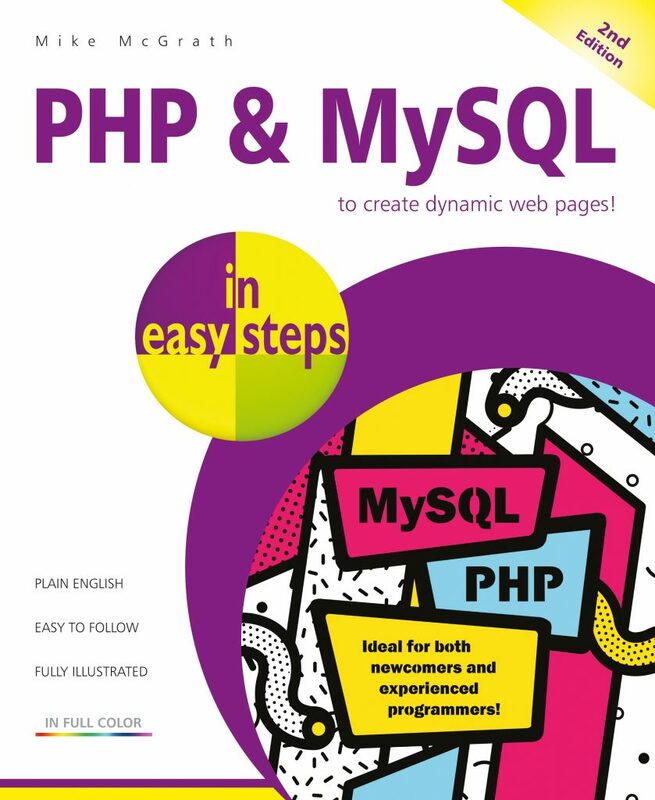 PHP & MySQL in easy steps, 2nd edition demonstrates by example how to produce data-driven web pages using the powerful PHP scripting language and the popular free MySQL database server. 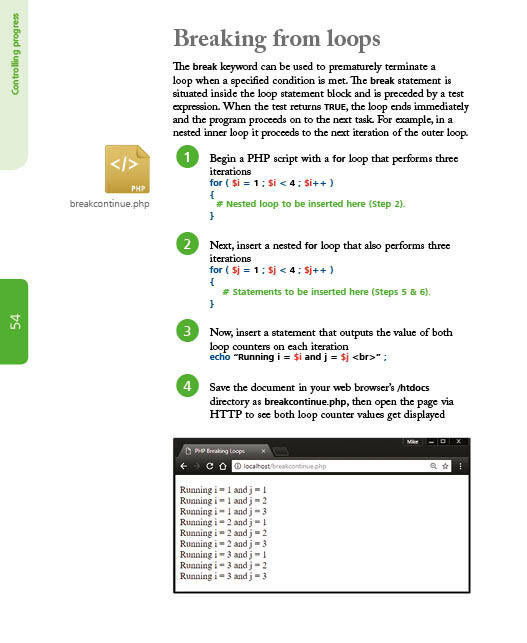 The book examples provide clear syntax-highlighted code showing how to selectively insert and extract data from databases for presentation on your web browser. 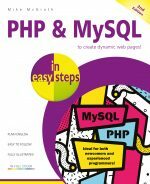 PHP & MySQL in easy steps, 2nd edition begins by explaining how to install a free web server, the PHP interpreter, and MySQL database server, to create an environment in which you can produce your very own data-driven server-side web pages. 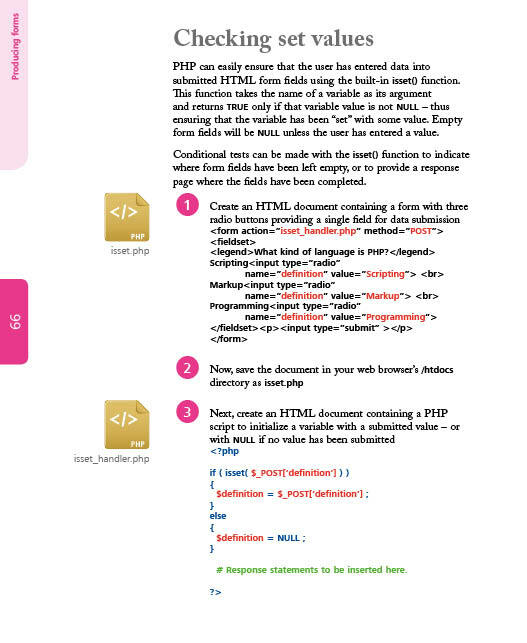 You will learn how to write PHP server-side scripts and how to make MySQL database queries. Examples illustrate how to store and retrieve Session Data, how to provide a Message Board, and how to create an E-Commerce Shopping Cart. 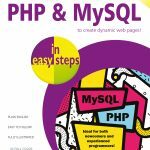 This book assumes you have no previous experience of any programming or scripting language so is ideal for the newcomer to PHP and MySQL technologies.